At her Performance Works Northwest studio, now in the Foster-Powell neighborhood, many from all over the region have enjoyed performances curated or performed by Linda Austin. In January, the nine commissioners of the Oregon Arts Commission bestowed their highest honor on Austin – presenting her with an Oregon Arts Fellowship award. "It's true, I'm an Oregon Arts Commission 'Fellow' for the second time," said Austin, with a shy smile, in her studio. "Linda Austin explores how all manifestations are articulated though the body and agency of the performer. 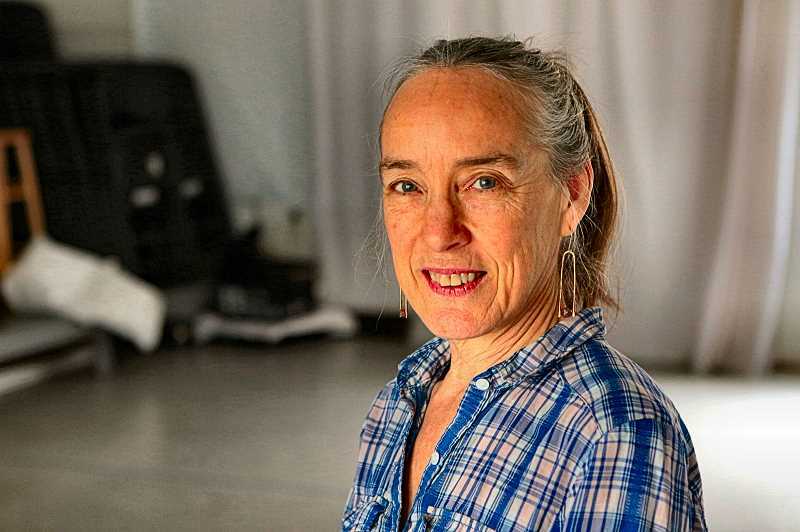 Deploying movement, sound, text, visual media, and objects, Linda celebrates the virtuosity of the everyday, over a career spanning over 35 years." In addition to the honor of statewide recognition, the Oregon Arts Fellowship also comes with a modest monetary award, she pointed out. "Unlike a grant, these funds are unrestricted; it's to help support whatever the artist is working on," Austin explained to THE BEE. In this case, the money will help fund her current solo project, set to premiere on March 14, called "Ordinary Devotions". "I didn't know how I'd compensate my two collaborators; it's really wonderful to know that I'll now have the funds to pay them," Austin said.